Goa is famous for its beaches but then one more thing that makes this place worth visiting is the Churches you will find here. One of them is the famous St. Alex Church which is a beautiful holy place. The pulpit and the altar of the Church are designed artistically. It is a very calm and a quiet place where you will find peace and warmth. It is one of the structures of Portuguese colonization which has been restored beautifully. You will love to spend time in solitude and peace. A real piece of Portuguese era build church. It feels you with a serene atmosphere as soon as you enter. Masses are held every weekday and weekends. 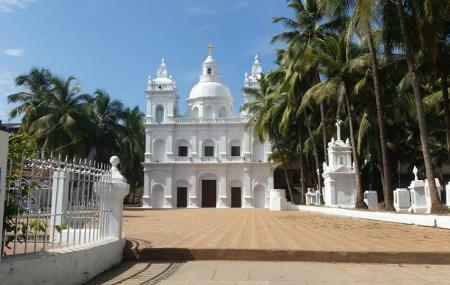 Calangute parish is considered to be a massive parish. Visit it to rekindle your soul and to be more closer to god. Great church. It really gives a very good and positive feeling. My first visit to this church n m going to b one of d parishioner, as v r new comers. Nice church n in close proximity to d place where v stay. The best place with a nice lake infront of the church. Looks nice during Twilight and night time.